The Search.oliverto.com web page appeared on your MAC OS without any notice? After that, you’re faced with the fact that your web browser is now redirected to this intrusive web pages every time when you press web browser’s home button, create a new tab or perform an Internet search. The cause of all your problems with your Apple Mac is hijacker infection that has been installed on your computer. Most probably, you do not even know how and where the Search.oliverto.com browser hijacker has got into your computer. collect Internet surfing habits and sell it to third parties. Often, the computer that has been infected with the Search.oliverto.com browser hijacker, will be also infected with adware (sometimes called ‘ad-supported’ software) which displays a large amount of various advertisements. It can be pop-ups, text links in the web pages, banners where they never had. What is more, the adware can replace the legitimate ads with malicious advertisements which will offer to download and install malicious software and unwanted software or visit the various dangerous and misleading web sites. So, it’s very important to free your MAC OS of browser hijacker infection immediately. The steps, which is shown below, will help you to remove Search.oliverto.com from the Chrome, Firefox and Safari and other web browsers. The Search.oliverto.com is a browser hijacker that you might have difficulty in uninstalling it from your MAC system. Happily, you’ve found the effective removal instructions in this article. Both the manual removal way and the automatic removal solution will be provided below and you can just choose the one that best for you. If you have any questions or need help then type a comment below. Certain of the steps will require you to restart your MAC or close this webpage. So, read this guide carefully, then bookmark or print it for later reference. Steps to remove Search.oliverto.com hijacker infection without any programs are presented below. Be sure to carry out the step-by-step tutorial completely to fully get rid of this undesired Search.oliverto.com home page. 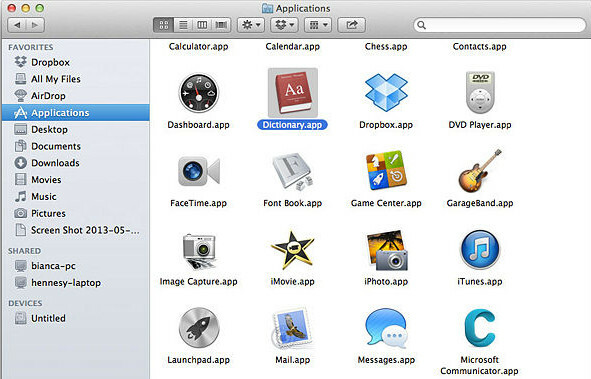 Very carefully look around the entire list of applications installed on your MAC system. Most probably, one of them is the browser hijacker that redirects your web browser to unwanted Search.oliverto.com web-site. If you have many applications installed, you can help simplify the search of malicious programs by sort the list by date of installation. In order to be sure that there is nothing left behind, we recommend you to reset Chrome web browser. It’ll return Chrome settings including home page, newtab and search engine to defaults. The Safari reset is great if your web-browser is hijacked or you’ve unwanted add-ons or toolbars on your web browser, which installed by a malicious software. 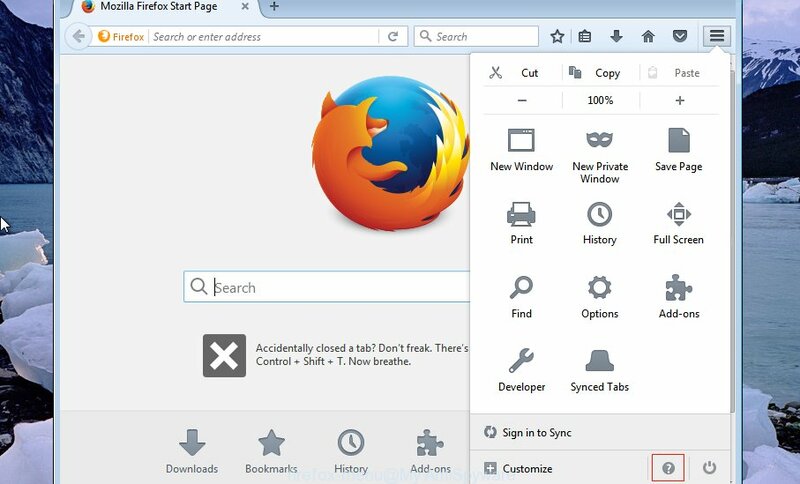 If your Firefox internet browser home page has replaced to Search.oliverto.com without your permission or an unknown search provider displays results for your search, then it may be time to perform the web browser reset. It will keep your personal information such as browsing history, bookmarks, passwords and web form auto-fill data. 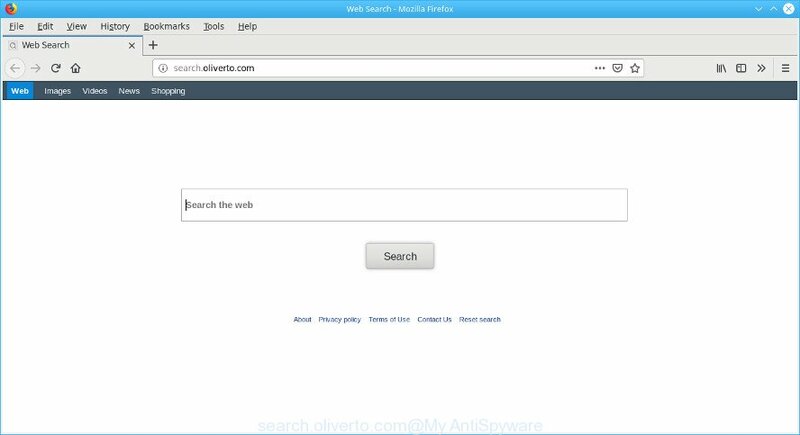 The easiest solution to delete Search.oliverto.com browser hijacker is to use an anti malware application capable of detecting browser hijackers including Search.oliverto.com. We recommend try MalwareBytes AntiMalware (MBAM) or another free malicious software remover which listed below. It has excellent detection rate when it comes to ad supported software, browser hijacker infections and other potentially unwanted apps. We advise using the MalwareBytes. You may download and install MalwareBytes Anti-Malware (MBAM) to find and delete Search.oliverto.com redirect from your MAC system. When installed and updated, this free malware remover automatically detects and removes all threats present on the MAC. After downloading is done, close all software and windows on your MAC. Open a file location. Run the downloaded file and follow the prompts. Press the “Scan” button . MalwareBytes AntiMalware (MBAM) program will scan through the whole MAC OS for the browser hijacker infection that cause Search.oliverto.com page to appear. This process can take some time, so please be patient. 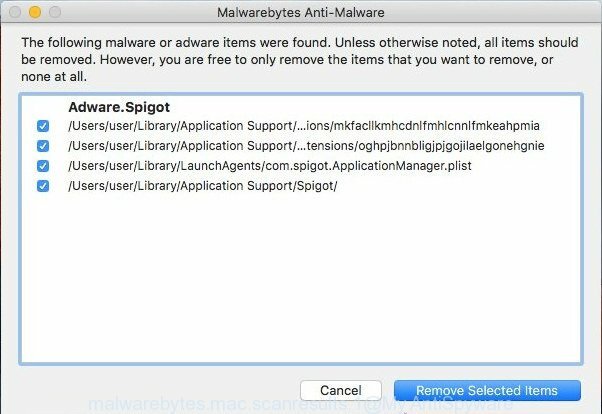 During the scan MalwareBytes AntiMalware (MBAM) will scan for threats present on your MAC system. Once the scan get completed, MalwareBytes Free will display a list of found items. In order to get rid of all items, simply click “Remove Selected Items”. By installing an ad-blocking program such as AdGuard, you are able to block Search.oliverto.com, autoplaying video ads and get rid of a lot of distracting and unwanted ads on webpages. Follow the prompts. AdGuard will then be installed. A window will show up asking you to confirm that you want to see a quick guidance. Press “Skip” button to close the window and use the default settings, or press “Get Started” to see an quick tutorial that will allow you get to know AdGuard better. Each time, when you launch your computer, AdGuard will run automatically and stop unwanted advertisements, block Search.oliverto.com, as well as other malicious or misleading sites. 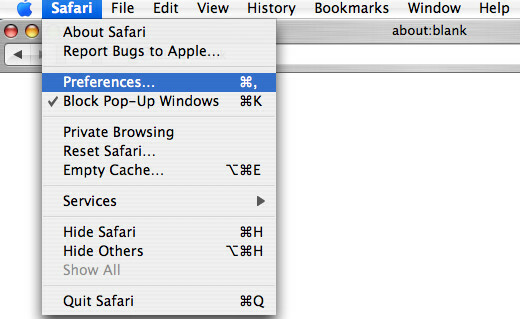 Many programs used to hijack a MAC OS’s internet browser. So, when you installing free software, carefully read the disclaimers, choose the Custom or Advanced install mode to watch for optional apps that are being installed, because some of the apps are ad-supported software and PUPs. Once you have finished the few simple steps above, your Apple Mac should be clean from this hijacker infection and other malicious software. The Google Chrome, Safari and Firefox will no longer open annoying Search.oliverto.com web-site on startup. Unfortunately, if the few simple steps does not help you, then you have caught a new browser hijacker infection, and then the best way – ask for help. Please create a new question by using the “Ask Question” button in the Questions and Answers. Try to give us some details about your problems, so we can try to help you more accurately. Wait for one of our trained “Security Team” or Site Administrator to provide you with knowledgeable assistance tailored to your problem with the undesired Search.oliverto.com redirect.